When it comes to drive, ambition and dogged self-belief, Shahid Khan - or Naughty Boy, as he's known in the music world - should be an example for any headstrong kid trying to make it in the music industry. Khan grew up on a Watford council estate and has gone from pizza delivery man to one of the top in-demand producers. An unexpected windfall not only enabled Khan to upgrade his studio set up and get his label up and running, it also allowed him to take on an unpaid apprenticeship at London's Townhouse Studios in 2007 and 2008. Under the mentorship of Hank Hughes, Shahid assisted on numerous major sessions and learned important lessons about the ins and outs of engineering, production and running a commercial recording studio, in addition to having access to Townhouse's high-end facilities. Since then, He has had multiple hits such as 'Runnin’ (Lose It All)' featuring Beyoncé and 2X platinum single 'La La La' featuring Sam Smith. 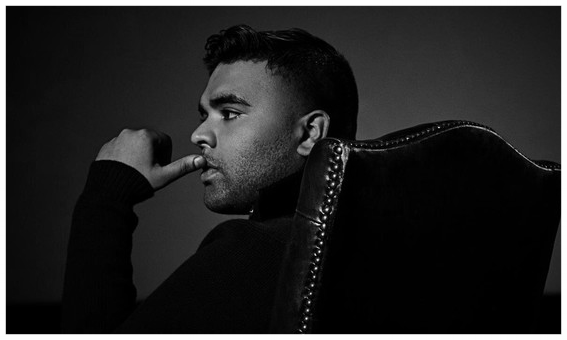 Naughty Boy also worked on Emeli Sandé's Number One album 'Our Version of Events' - the biggest selling album of 2012. 'Our Version of Events' remained in the Official Album Chart for 66 consecutive weeks (10 of which were spent at Number 1), smashing the long-standing chart record set by The Beatles in 1964. Sandé and Naughty Boy found further success from the album with hit single 'Next To Me,' which peaked at Number 2 in the UK Singles Chart. While working with Emeli Sandé he has additionally had multiple successes including 'Never Be Your Woman' (also featuring Wiley), 'Wonder', and 'Lifted'. WHAT HAS NAUGHTY BOY BEEN UP TO?